Cameroonian Government has described as embarrassing the insinuation that candidate of the People’s Democratic Party, Alh Atiku Abubakar is a citizen of the country. 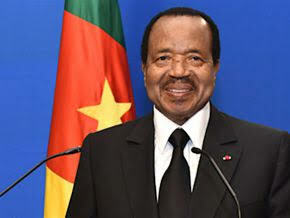 In a statement signed by Paul Biya, President of the Republic of Cameroon, the government described the claim as an embarrassment to the nation’s sovereignty and called on propagators to henceforth desist from such. “It is pertinent to note that we are one Africans but former Nigerian vice president and presidential candidate of the People’s Democratic Party in the just concluded general election, is not and has never being a Cameroonian as speculated”, the statement read. “From records available, Atiku Abubakar has never been a Cameroonian and has not applied to be recognised as one. “He has not applied for citizenship through nationalization and has not even met the conditions to become a full fledged Cameroonian. “It is therefore a national embarrassment and assault to claim he is from our nation when he has not applied to be a Cameroonian. It will be recalled that Atiku Abubakar who is challenging the result of the presidential election in the tribunal was alleged to be from Cameroon and not eligible to contest by the ruling All Progressives Congress.